The S6 is heavily based on the more mundane A6 model, so it borrows all of the important features seen on the midsize sedan. Arguably the most important change up front is the new A8-style grille. Just like on the full-size sedan, the previous single-frame grille was replaced by a wider element with sharper edges. The new grille has three horizontal bars on the upper section, three more in the middle section with the plastic background, and one more below that. While the main grille doesn’t have the honeycomb mesh seen on RS models, the side vents in the bumper do have a similar layout. The headlamps are also based on the A8’s. Not only are they slimmer, but they also sport a more angular design. Paired with the new grille, they give the car a sportier, wider stance. Rounding off the new S6’s front fascia are the splitter-like element at the bottom with dark chrome and aluminum-look trim. Sadly, the vents in the bumper are fake, so the honeycomb structure doesn’t look as cool as it should. 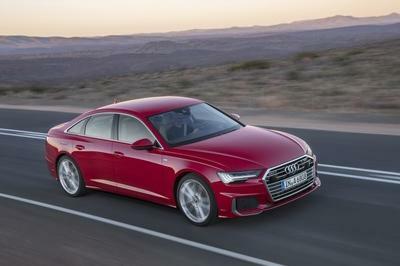 There’s nothing much we can see as we move to the sides, mostly because Audi sedans usually have a featureless profile. 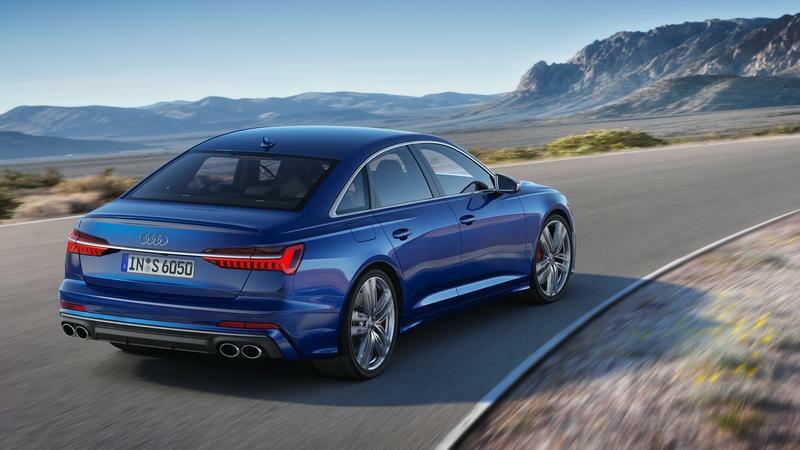 Sure, there’s a noticeable beltline that runs just above the door handles, the slightly beefed-up rear haunches, and a sporty pair of side skirts, but the new S6 seems just as understated as its predecessor. New highlights include aluminum-look mirror caps and exclusive 20-inch wheels. Optionally, you can get 21-inch wheels to go with the lowered suspension. 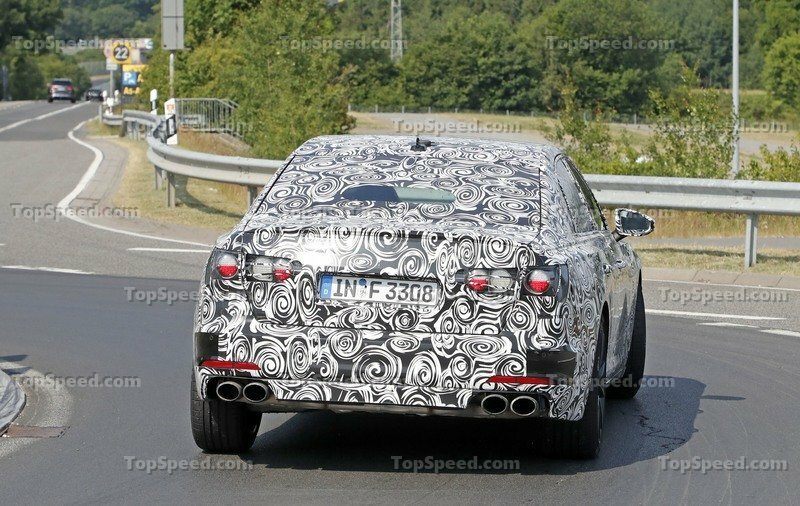 The rear fascia is also very similar to the regular A6 and it includes the sharp and slim taillights, the chrome strip that runs through them and across the trunk lid, and a small spoiler at the top. The diffuser element isn’t notably sportier, but it’s finished in black and features dark chrome trim. 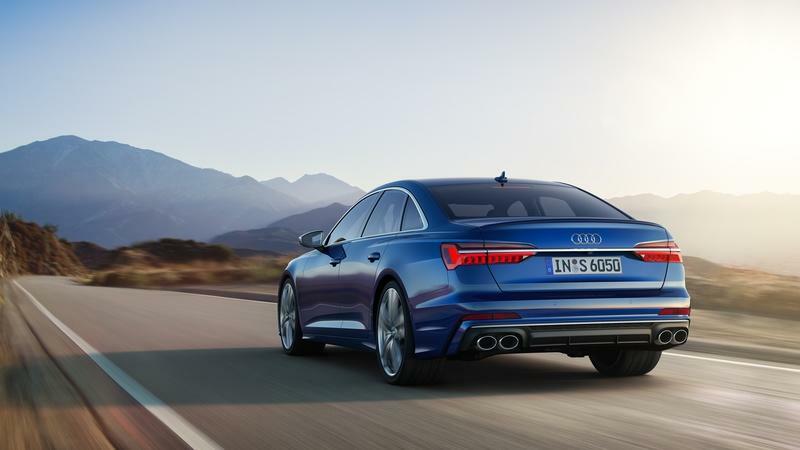 The quad exhaust pipe layout sets the S6 apart from the standard sedan. 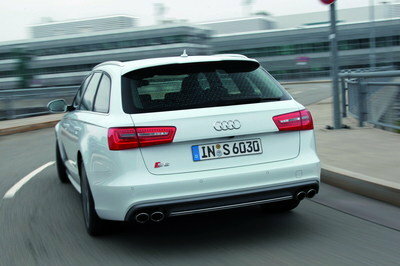 All told, the new S6 provides a great transition between the elegant A6 and the beefed-up RS6 model that will follow. 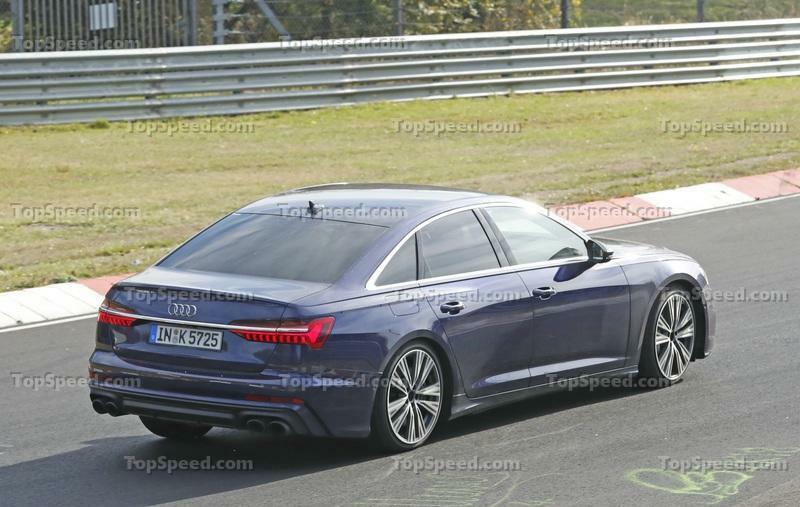 Not surprisingly, the S6’s cabin is almost identical to the regular A6. This is good news though, as Audi updated it to a new dashboard design with the already familiar continuous air vent strip and a big display in the center stack. Another screen placed in the center console cleans the unit of buttons and knobs, giving the interior a more modern look. The display in the dash has a 10.1-inch diagonal and includes the latest MMI system with navigation and all the cool apps offered in the big Audi models. The 8.6-inch screen below provides access to the climate control system, text input, and other convenience functions. The third screen is the Virtual Cockpit, Audi’s fancy name for the digital instrument cluster. This large, 12.3-inch display replaces the traditional analog dials and provides info on speed and navigation. The unit has slightly different, sportier graphics in the S6, including red dials and new design for the speedo and rev counter. Like all S-badged Audis, the S6 features an almost all-black interior. This isn’t particularly appealing, but it seems Audi is finding it very hard to break away from this decade-old habit. The good news is that the black surfaces and materials are combined with contrast stitching on the door panels, steering wheel, center console, and the seats. You can choose between two upholstery options. 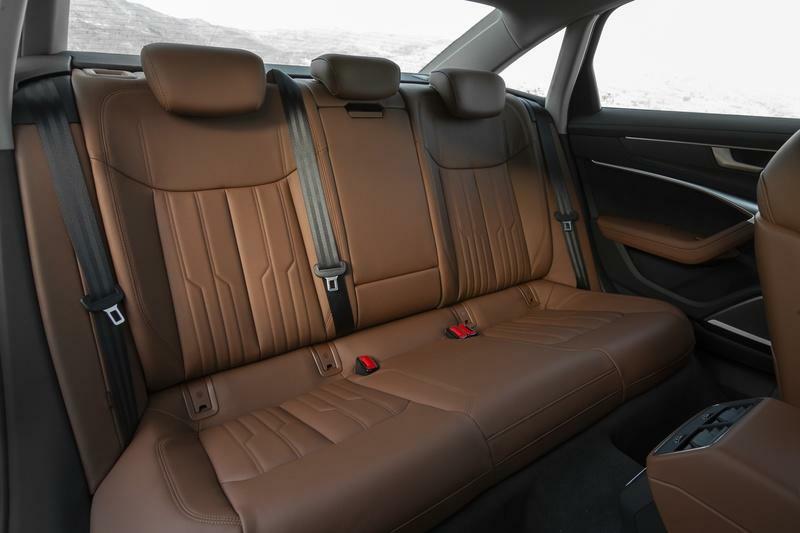 The standard package includes a combination of leather and Alcantara, but you can pay extra for a high-end Valcona leather cabin. Pick the latter and you opt for Rotor Grey or Arras Red colors instead of the usual black. The S6 comes with standard brushed aluminum trim on the dashboard, center console, and door panels, but you can order the sedan with fine grain ash wood for a classier look. The footrest and pedal caps are made from stainless steel, while the illuminated aluminum door sills feature an "S" logo. The flat-bottom steering wheel is optional, so you’ll to pay extra if you don’t fancy the A6’s regular wheel. The seats are obviously sportier than the A6’s units and feature embossed "S" logos. Optionally, you can get sportier, contoured seats with integrated head restraints and a rhombus pattern on the seating surfaces. Unlike its predecessor, the new S6 can be ordered with sports seats that have multi-way adjustability, ventilation, and massage functions. While they retain the sportiness and track-ready support of the contoured seats, they provide better comfort for long trips. Dimension-wise, the S6 benefits from the A6’s roomier interior. There are small improvements in rear-seat legroom, headroom, and shoulder room front and back compared to he its predecessor. Trunk space remain unchanged compared to the regular A6 at 18.7 cubic feet, but it’s slightly bigger than the previous model. That’s only a fraction of what you get with the Avant model, which swallows up to 59.3 cubic feet with the rear seat folded flat, but it’s enough to carry two golf bags. That’s on par with the BMW M550 xDrive and marginally short of Mercedes-AMG E53’s capacity, rated at 19 cubic feet. Things change rather dramatically under the hood. 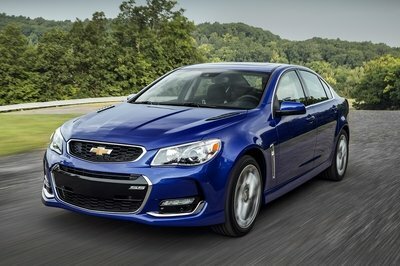 While the outgoing S6 features a turbocharged, 4.0-liter V-8, the new sedan can be ordered with V-6 engines only. Yes, that’s not a typo, the S6 is available with two engines now. 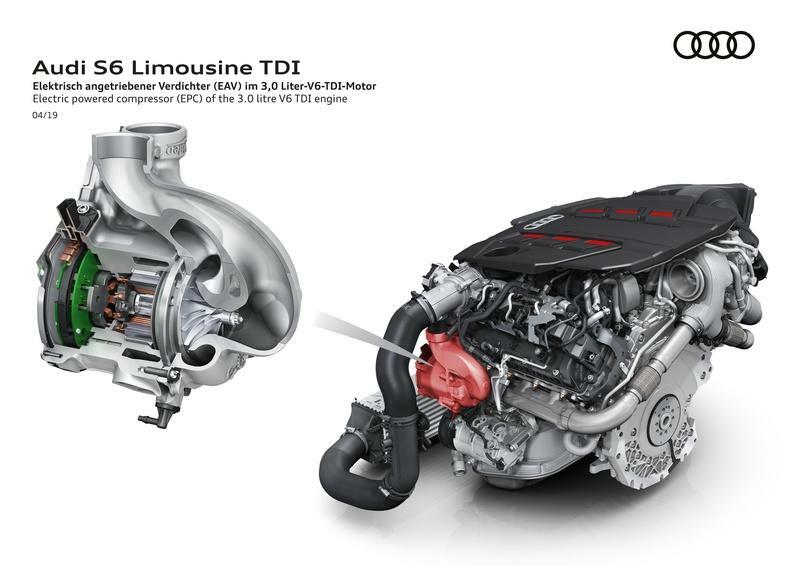 The bad news is that they aren’t offered at the same time, but the S6 comes with different engines in different markets. In the U.S., it’s sold with the twin-turbo, 2.9-liter V-6 we suspected from the very beginning. 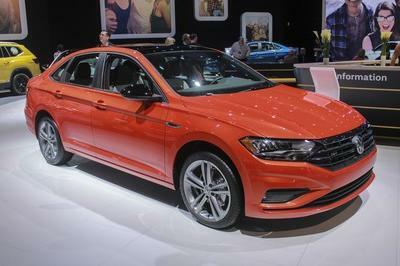 In Europe, however, the beefed-up sedan switches to diesel power. 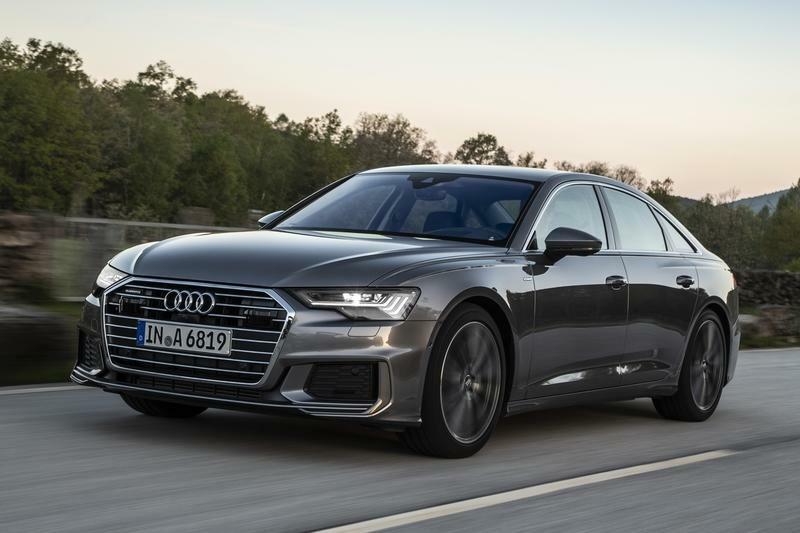 A first for S-badged cars (but not for SUVs), the Euro-spec S6 — as well as the S6 Avant and S7 — comes with a turbocharged, 3.0-liter V-6 oil burner. 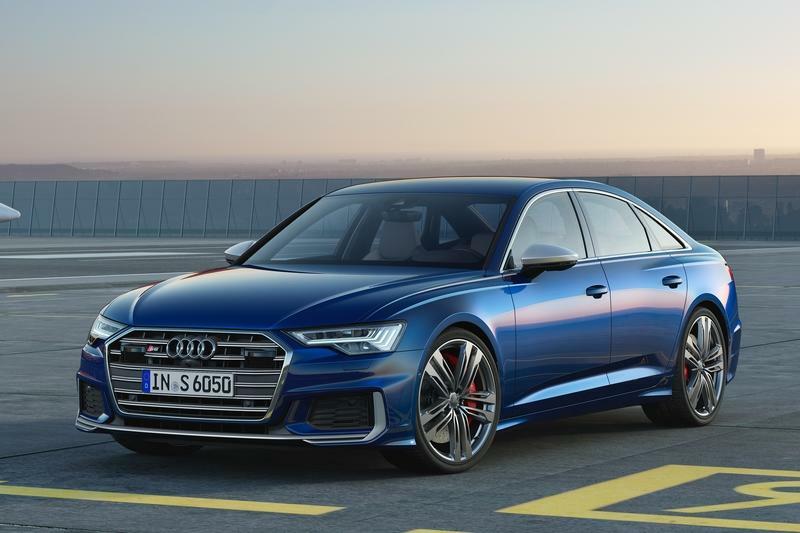 Already available in the RS5, the twin-turbo, 2.9-liter V-6 cranks out a solid 444 horsepower and 443 pound-feet of torque. That’s a six-horsepower deficit compared to the old V-8, but an extra 37 pound-feet of twist. Despite having a 48-volt hybrid system, just like the Mercedes-AMG E53, the S6 is less powerful than its German counterpart. The Merc’s combined output sits at 457 horsepower and 568 pound-feet of twist, a notable 13-horsepower and 125-pound-foot increase. It’s a similar story when compared to the BMW M550i xDrive, which features a 4.4-liter V-8 that cranks out an extra 12 horsepower and 47 pound-feet. Performance ratings for gas-powered S6 aren’t yet available, but it needs to hit 60 mph in less than 4.5 seconds in order to be competitive. The AMG E53 reaches the benchmark in 4.4 seconds, while the M550i xDrive sprints to 60 mph in just four seconds. Top speed is limited to 155 mph, an industry standard for performance-oriented sedans. That’s on par with the Bimmer and superior to the Merc’s 130-mph limit. Moving over to the 3.0-liter V-6 diesel, it generates 350 horsepower. That’s a notable 96-horsepower deficit compared to the gas version, but torque is higher at 516 pound-feet, a 73-pound-foot increase. The oil burner also feautres a electrically powered compressor with a 48-volt electrical system for increased fuel economy and better throttle response. The diesel is obviously less powerful than the competition, but beats the BMW M550i in the torque department. On the other hand, it falls behind the Mercedes-AMG E53 in both departments. It’s slower too, needing five seconds to hit 62 mph, while top speed is limited to 155 mph. 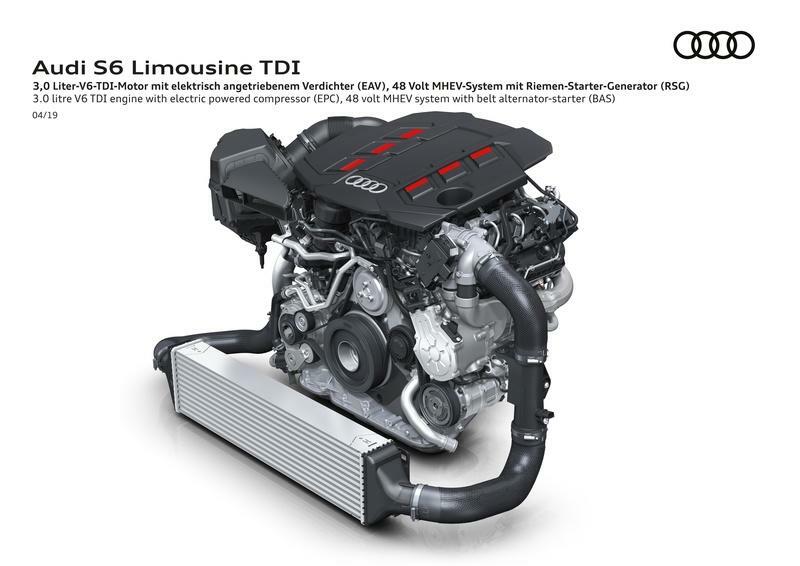 While diesel engines are usually associated with slow, economy cars, Audi turned the the 3.0-liter V-6 into a true performance unit. And thanks to the electrically powered compressor (EPC), it’s very responsive and efficient at the same time. The electric supercharger provides solid boost when accelerating by removing turbo lag at all speeds. Its response time is under 250 milliseconds and its maximum speed is a whopping 70,000 rpm. The 48-volt mild hybrid system kicks in to improve fuel efficiency. Comprising a belt alternator starter and a lithium-ion battery, it can recover up to eight kW of power, which it then stores in the lithium-ion battery. When you hit the gas pedal, the system reacts instantly by restarting the engine. 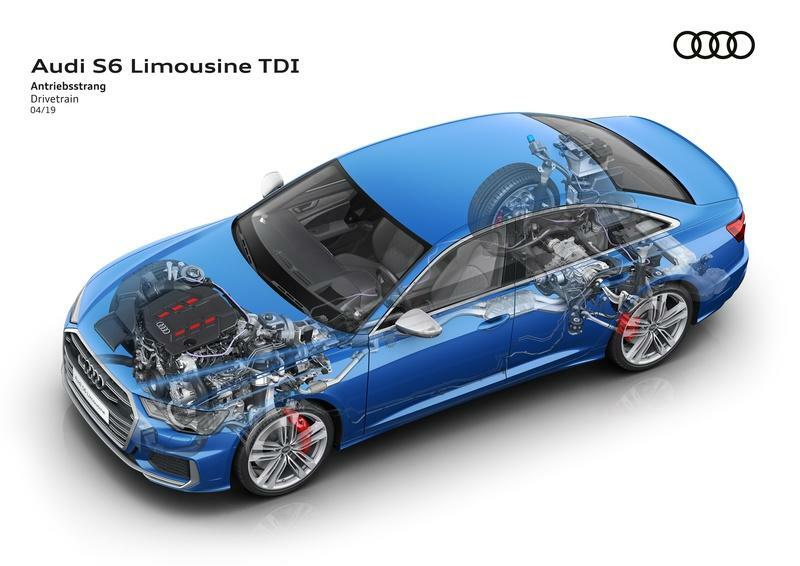 Audi says the mild hybrid system saves up to 0.4 liters of diesel in real driving conditions and can coast for up to 40 seconds with the engine deactivated. The Germans estimate fuel economy from 35.8 to 36.2 mpg on the British cycle. As before, the Quattro AWD system comes standard. It has a 40:60 front-to-rear ratio and it’s able to route torque to the axle with less traction. It can send up to 70 percent of torque to the front wheels and up to 85 percent to the rear wheels. Optionally you can add a sport differential on the rear axle for increased agility. You can change the settings for the differential’s control strategy using Audi drive select. The suspension system is obviously based on that of the regular A6, but Audi altered the setup to better suit the sportier nature of the S6. The sedan comes with damping control as standard, which lowers the ride height by 0.8 inches. Adaptive air suspension is offered for the first time on an S-badged Audi. It comes with three separate modes, includes a “lift” position for poor roads and automatic leveling. In the “auto” mode the body is lowered by a further 0.4 inches at speeds above 75 mph, while the “dynamic” mode keeps the vehicle low at all times. The components of the five-link suspension are made largely from aluminum for weight-saving purposes. Like most performance-oriented vehicles nowadays, the S6 feature rear-wheel steering. At speeds up to 37 mph, the rear wheels turn as much as five degrees in the opposite direction to the front wheels in order to reduce turning circle by up to 43 inches. At speeds above 37 mph, the rear wheels turn by as much as two degrees in the same direction as the front wheels. This increases agility at low speeds and enhances stability at high speeds and when changing lanes. Stopping power comes from enhanced six-piston brakes made from aluminum. Front-wheel pistons measure 15.7 inches in diameter, while rear-wheel pistons measure 13.8 inches. Higher performance brakes made from carbon-fibre ceramic can be ordered from the options list. This system is almost 20 pounds lighter. 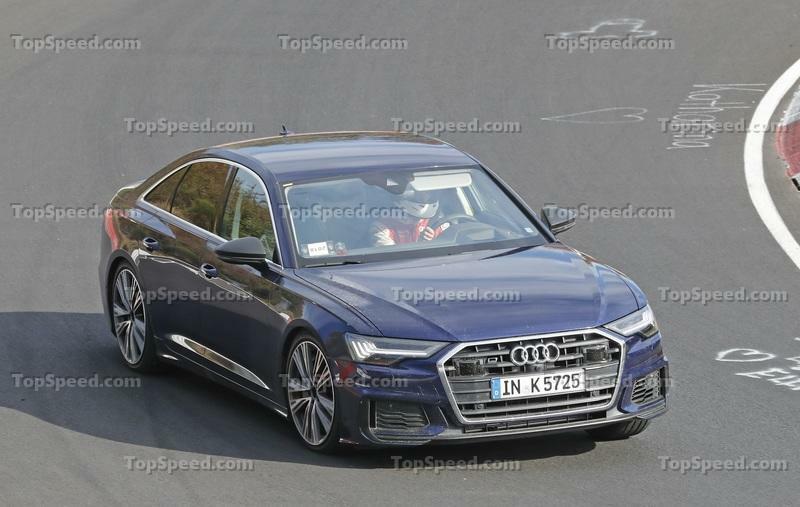 As with most new-generation vehicles, the upcoming S6 should be a tad more expensive than the outgoing model. 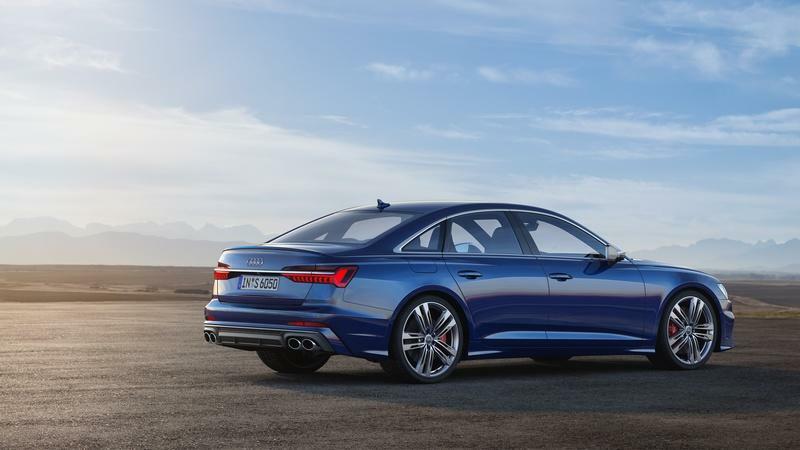 With pricing for the old model set at $71,900, the new-generation S6 should start from around $73,000 before options. Before the current-generation arrived, the Audi S6 was often compared to the higher non-AMG trim. 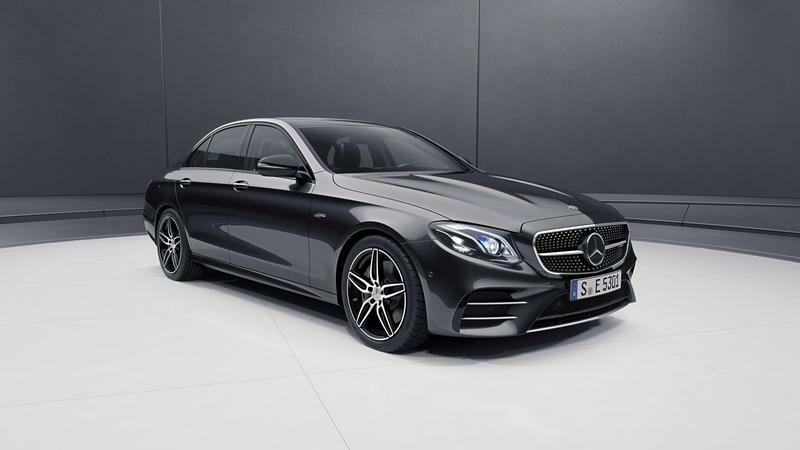 But Mercedes-Benz took the same route as Audi and launched a model that bridges the gap between the standard E-Class and the beefed-up AMG E63. Dubbed the E43, it was recently replaced by the E53, and the main difference is that it features a mild hybrid drivetrain. Powered by a version of the twin-turbo, 3.0-liter inline-six engine that was introduced with the latest CLS, the E53 also employs an EQ Boost starter alternator that combines a starter motor and alternator in an electric unit. 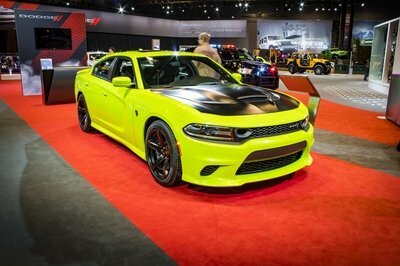 The engine is rated at 435 horsepower and 384 pound-feet of torque, while the EQ Boost system adds another 22 horses and 184 pound-feet. This takes total output to 457 horsepower and 568 pound-feet of twist. Sprinting to 60 mph takes 4.4 seconds, while top speed is limited to 130 mph. Pricing starts from $72,550. Read our full review of the 2019 Mercedes-AMG E53 Sedan. Just like Mercedes-Benz, BMW also began offering intermediate models to bridge the gap between M and non-M versions. In this case, we’re talking about the M550i. 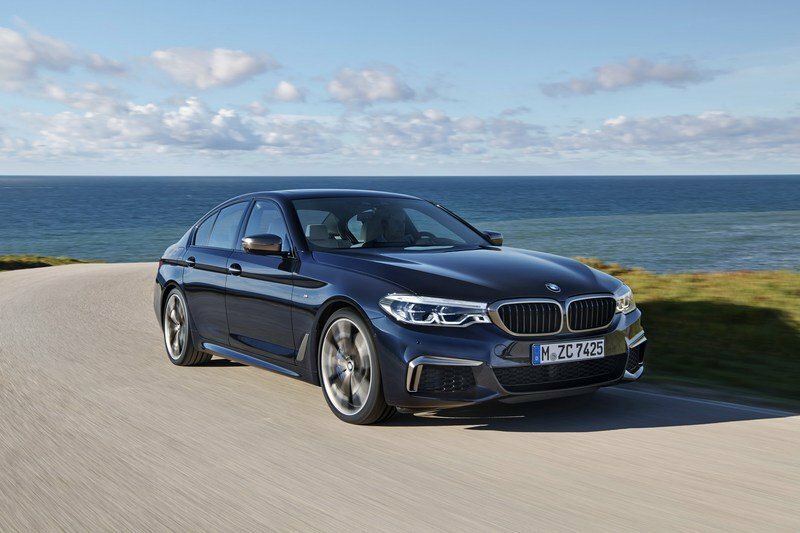 The sedan benefits from the new design language that BMW introduced for 2018, and even though the styling is obviously evolutionary, it’s quite fresh and exudes sportiness and elegance at the same time. While not as mild as the regular 5 Series, the M550i isn’t as aggressive as the M5, which falls right in the S6’s alley. The interior comes with all the goodies available with the 5 Series, including gesture control and a heads up display, and extra equipment such as sports seats, an M Sport steering wheel, and unique door sills. Unlike its competitors, the M550i sports a V-8 under the hood. The twin-turbo, 4.4-liter unit is essentially a detuned version of the M5’s, and it’s rated at a solid 456 horsepower and 480 pound-feet of torque. All this power travels to the wheels through an eight-speed automatic and xDrive all-wheel-drive system, pushing the sedan from 0 to 60 mph in an impressive four seconds. For now, the M550i is the quickest option. 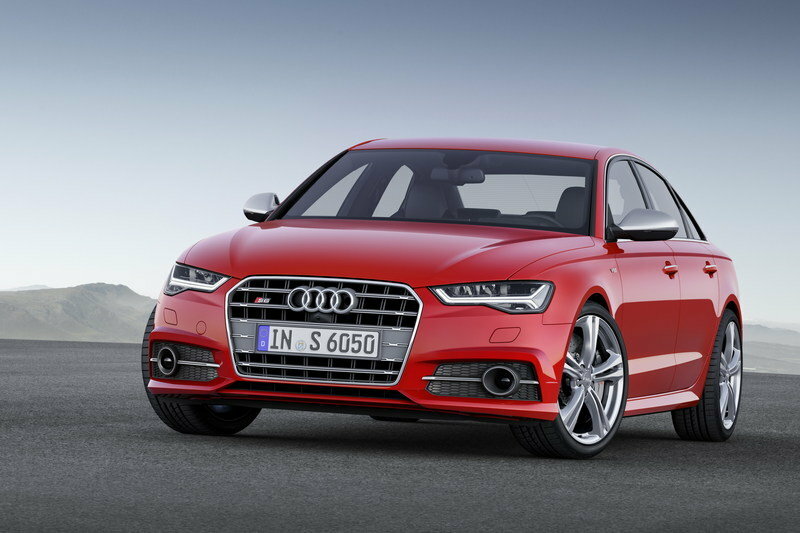 Pricing starts from $73,400, so it shouldn’t be much more expensive than the Audi S6. Read our full review of the BMW M550i xDrive. 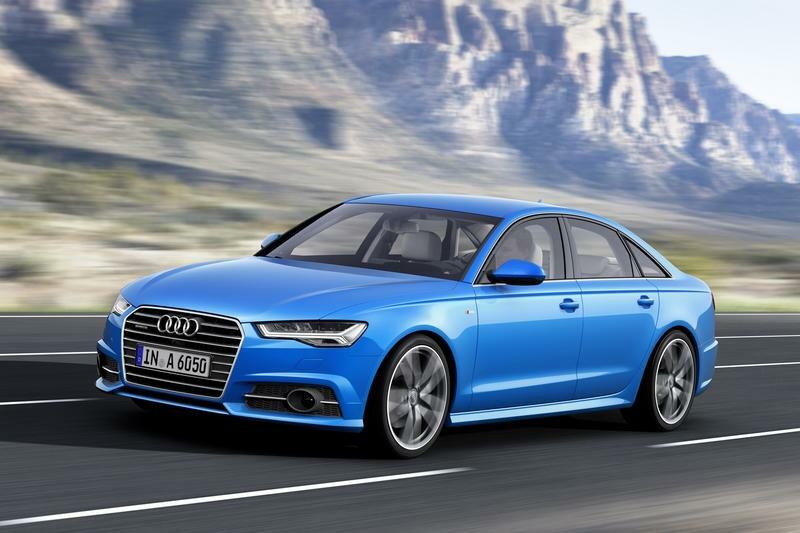 Read our full review on the 2018 Audi A6. 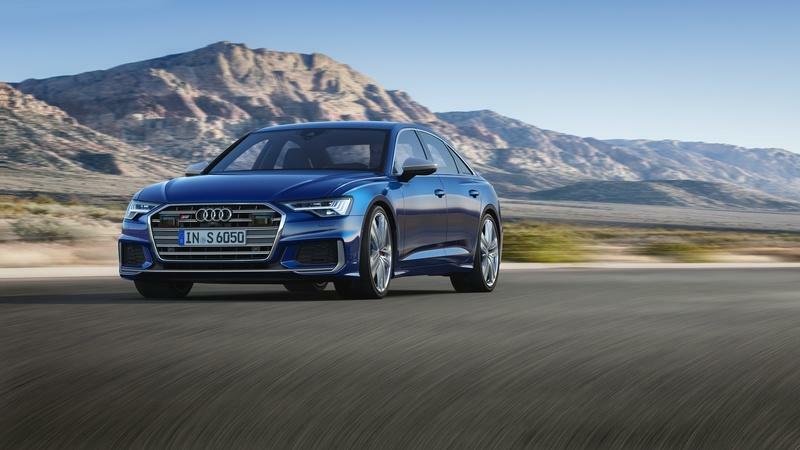 Read our full review on the current Audi S6. 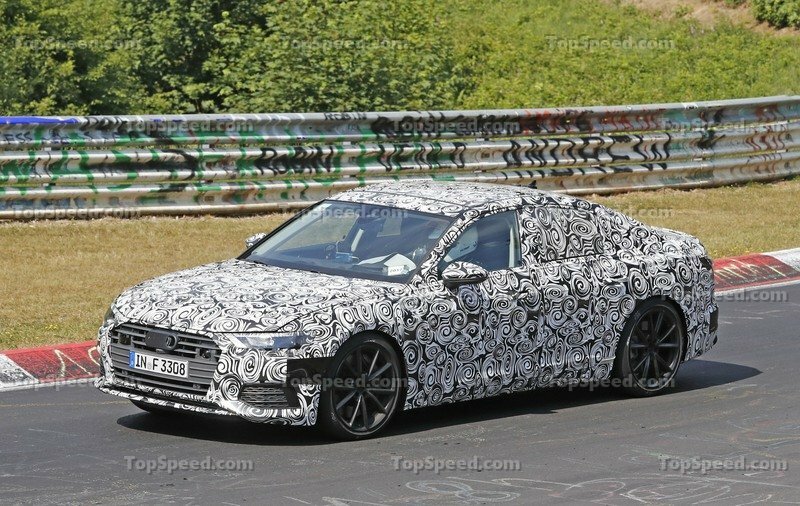 Updated 12/03/2018: Our spy photographers caught the upcoming Audi S6 out for the a new testing session, and unlike the previous times, the new prototype dropped some of its camouflage.